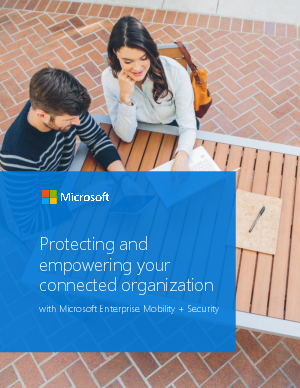 Security was once largely limited to the confines of an on-premises world, but now it must extend to the cloud, as well as a myriad of mobile devices. Employees and companies now expect increasingly complex interactions with devices, apps, data, and even other users. As many companies struggle to keep up with traditional single-point solutions, and limited budgets, this pressure is creating security blind spots for IT. In a world of evolving threats, it is becoming increasingly impossible to address all of these issues with an on-premises solution. What is needed is a holistic approach to identity-driven security—one that leverages a cloud-scale intelligent security graph to help you protect your business.